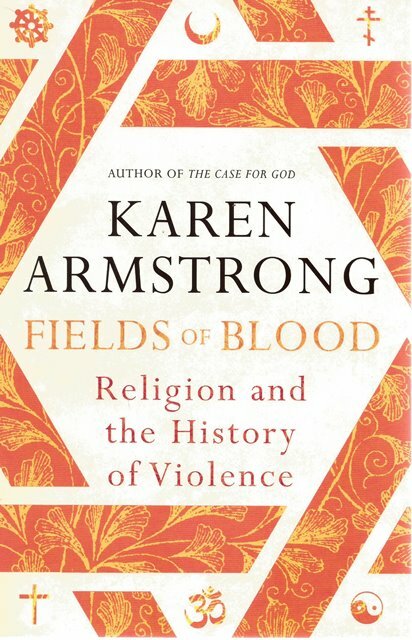 Fields of Blood by Karen Armstrong amasses a sweeping history of humankind to explore the perceived connection between war and the world’s great creeds—and to issue a passionate defence of the peaceful nature of faith. With unprecedented scope, Armstrong looks at the whole history of each tradition—not only Christianity and Islam, but also Buddhism, Hinduism, Confucianism, Taoism, and Judaism. Religions, in their earliest days, endowed every aspect of life with meaning, and warfare became bound up with observances of the sacred. 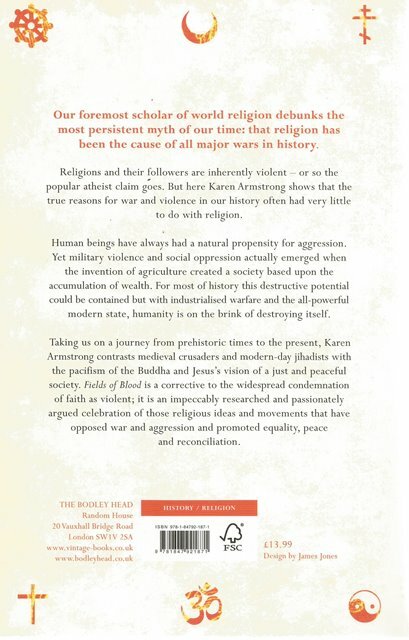 Modernity has ushered in an epoch of spectacular violence, although, as Armstrong shows, little of it can be ascribed directly to religion. Nevertheless, she shows us how and in what measure religions came to absorb modern belligerence—and what hope there might be for peace among believers of different faiths in our time.